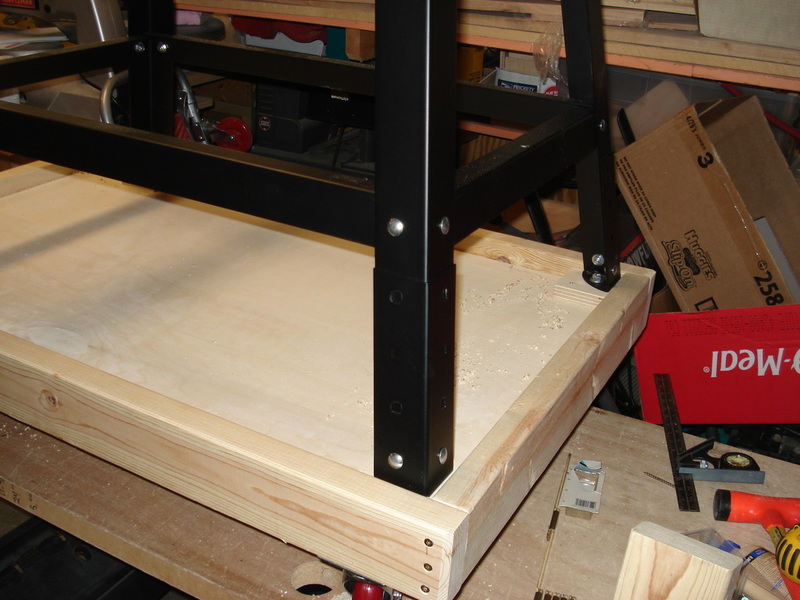 The Excalibur 30" Scroll Saw is a large machine, but is very convenient and maneuverable when you make this Stand/workbench . 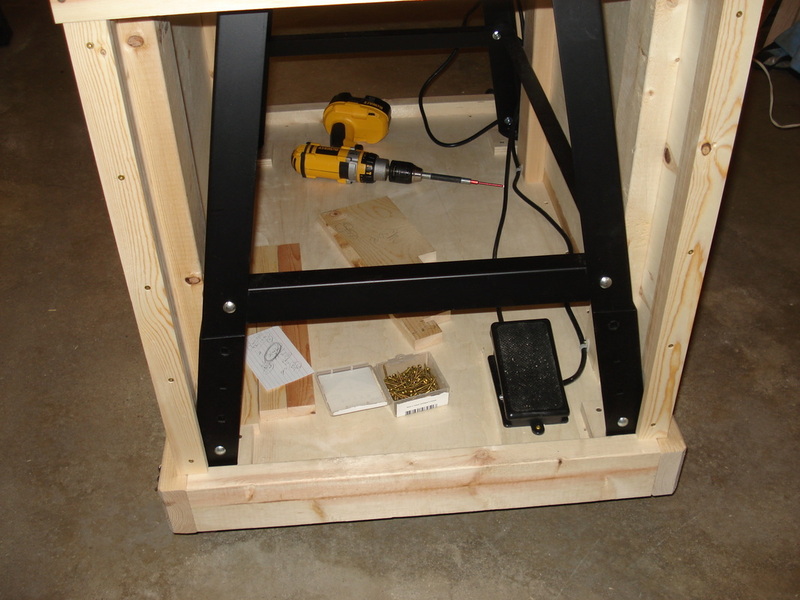 As you can see The base was set up on a 24" width, and bolted through the floor of the Bench with a 2X4 frame around the base. You can see the open concept of the bench. 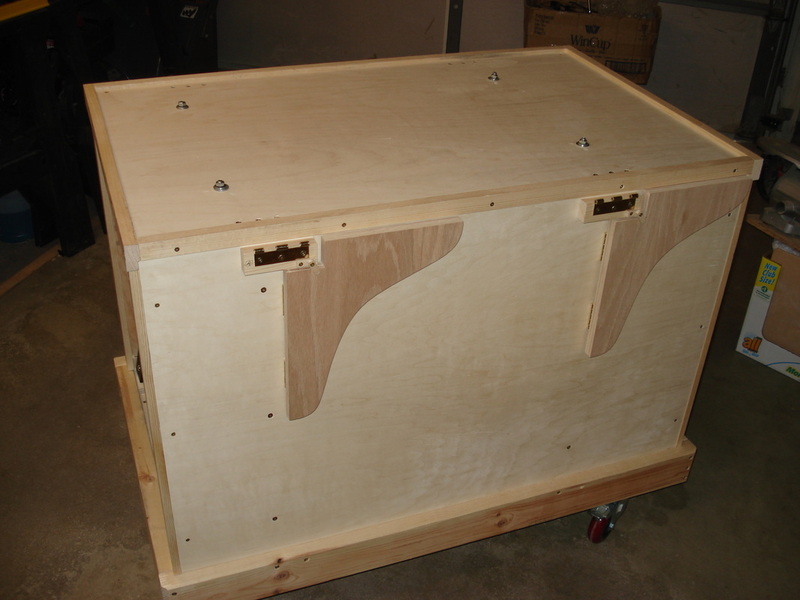 The sides are held in place by two 2X4's on each side. 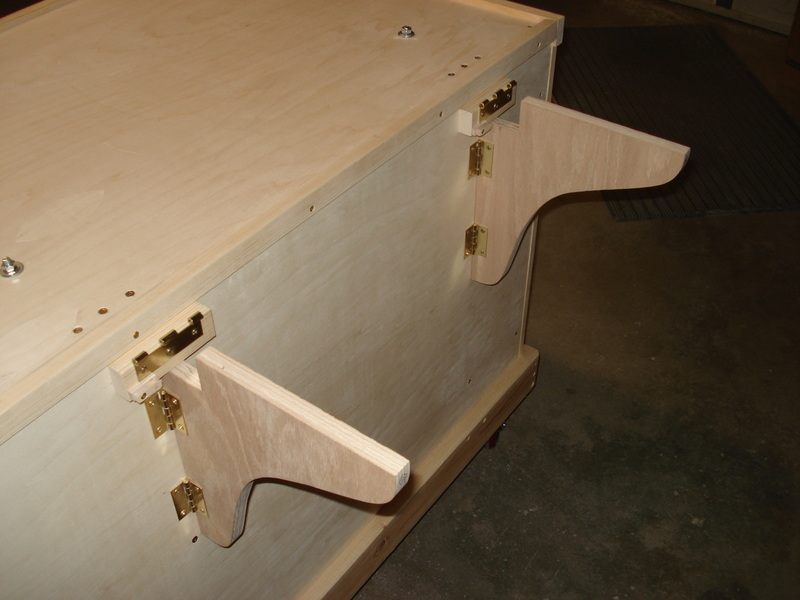 The top is held in place by bolts, directly into the holes of the metal stand that, also secures the saw. The foot pedal , on-off switch, is screwed to the floor. 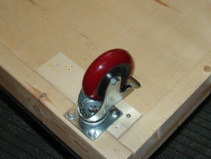 Your heel will rest on the 2X4 frame. 2 X 4's. 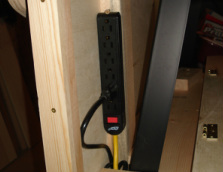 Use one with at least a 9' cord for easy connection. 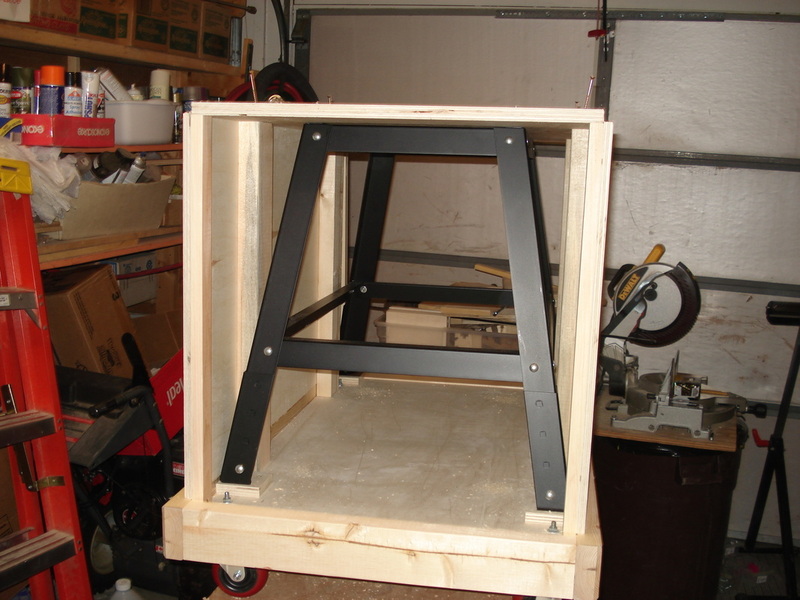 The table wings are held in place by the supports that you see folded in. This makes it easier to use in a small spaces. The supports are folded out ready for the table wings that are on removable pin hinges. Here the bench is complete with the wings up and ready for use. 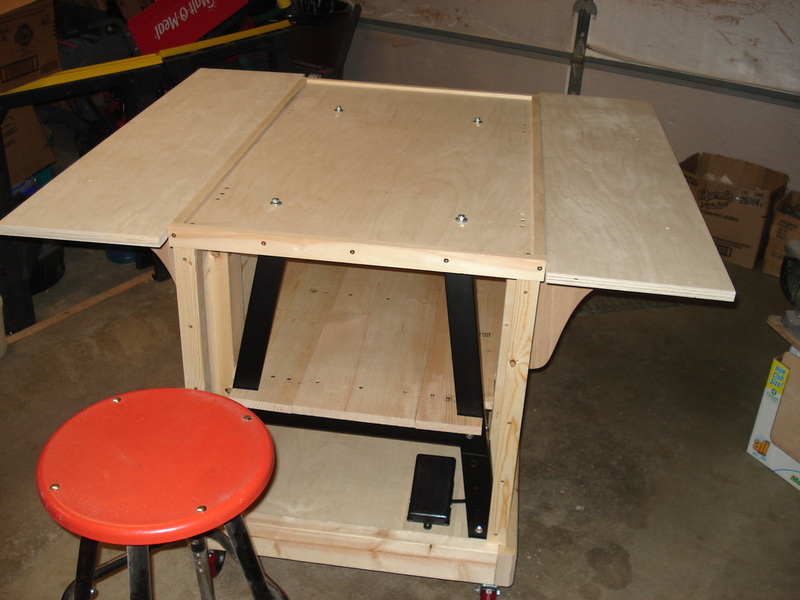 44" X 28", and the foot pedal works very well with the use of a stool. I am at Midwest Woodworkers (left photo) where I teach my Scroll Saw Classes. Midwest is also the dealership for the Excalibur scroll saw. 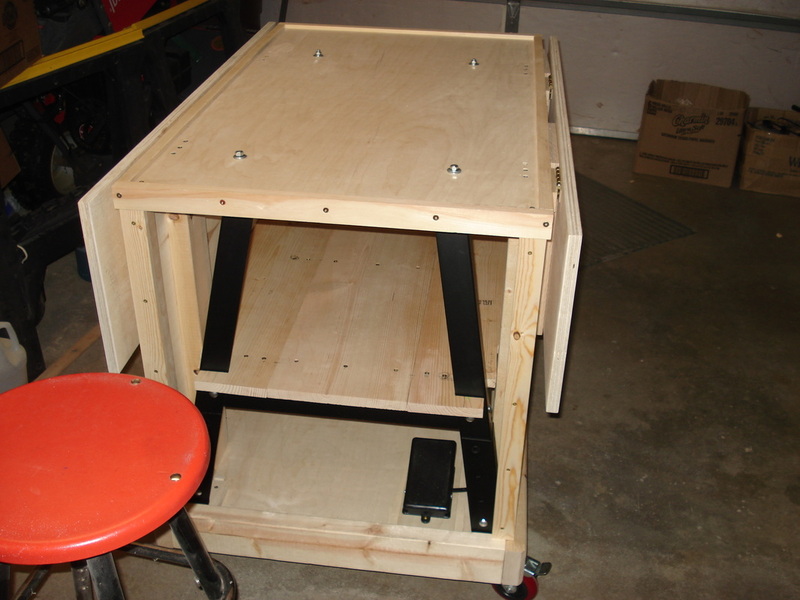 You are looking at the new workbench I built 'around' the saw stand featured on this page. The new saw and bench are in their new home in my shop at the Branson Mill (right photo). You can see the completed bench with the saw on it is a great looking and very functional machine. The saw is tilted at a 5 degree angle for three reasons. 1. It reduces the glare off the pattern. 2. It reduces shoulder fatiuge. 3. It reduces eye strain. Therefore, it is fun to use, and great to cut with.